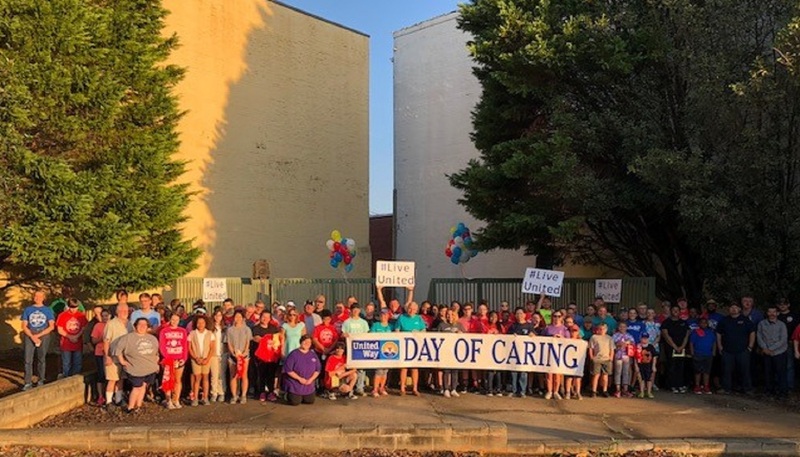 A total of 200 volunteers united on Saturday, Sept. 22 to help neighbors in need as part of United Way of Central Carolinas’ Anson County Day of Caring. Now in its 14th year, the community-wide day of service is a rewarding opportunity to build team spirit and participate in meaningful projects that make a difference in our community. 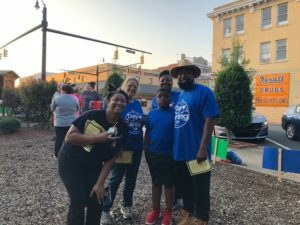 The annual event also serves as part of the launch for United Way’s campaign season and kicked off with a family friendly breakfast event at Wadesboro Town Square. 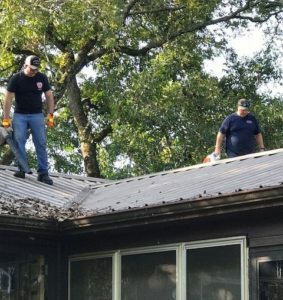 Volunteer teams from companies, schools, churches and civic groups – 26 teams in all – took part in 38 different projects across Anson County benefiting elderly citizens, disabled residents and local nonprofits in our community. Teams including Anson County Partnership for Children, Atrium Health, Feed My Lambs, First Baptist Church Wadesboro, South Piedmont Community College and Wadesboro Fire Department, among others, assisted with tasks like cutting grass, weeding flowerbeds, pruning shrubs, picking up trash, washing windows and painting at homes of residents and around nonprofit sites. United Way has nine community partners in Anson County focused on improving the education, health and financial stability of every person in the community. Volunteer support plays a large role in helping these organizations accomplish their missions. Our community continues to be strengthened by the many volunteers who offer their time, talents and commitment to serve individuals and families that need an extra helping hand. View more photos of this year’s Anson County Day of Caring here.